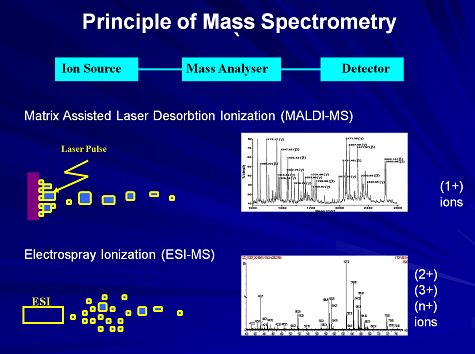 Mass spectrometry (MS) is a method that can analyze a variety of chemical and biological compounds. 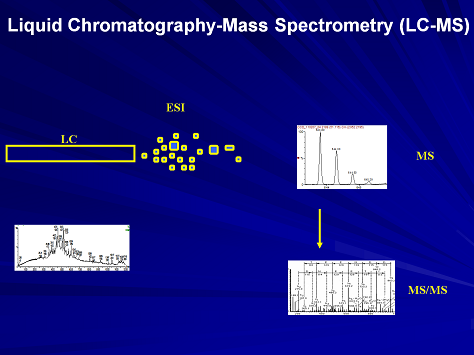 Within the mass spectrometry field different specialized fields have emerged. They have been named based on the chemical or biological entities that are analyzed, including: proteomics, lipidomics, glycomics and others. Proteomics analyzes proteins, peptides, aglycans, protein interactions, or post-translational modifications (PTMs). 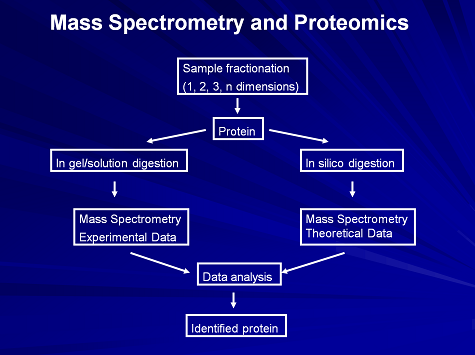 Proteomic analysis is usually qualitative for protein identification and quantitative for estimation of the amounts of proteins. 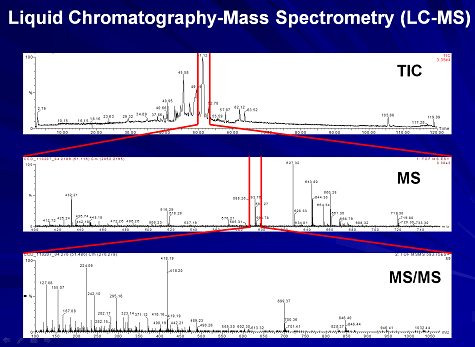 These analyses are usually performed using Matrix Assisted Laser Desorption Ionization Mass Spectrometry (MALDI-MS) and Electrospray Ionization Mass Spectrometry (ESI-MS). The workflow in a proteomics experiment involves sample fractionation by 1, 2, n biochemical approaches, followed by enzymatic digestion (usually trypsin), peptide extraction, and MS analysis (1). 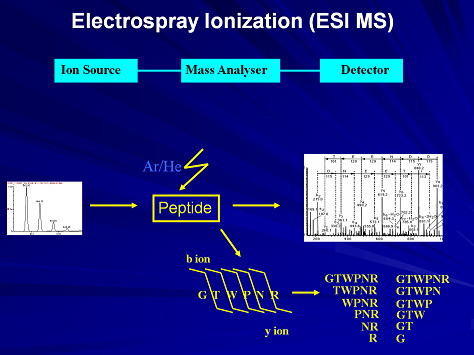 When the peptide mixture is analyzed by MALDI-MS, the proteins of interest are identified using a procedure named peptide mass fingerprinting. Alternatively, the peptide mixture is further fractionated by HPLC on different columns (usually reverse phase HPLC or LC), followed by ESI-MS analysis. 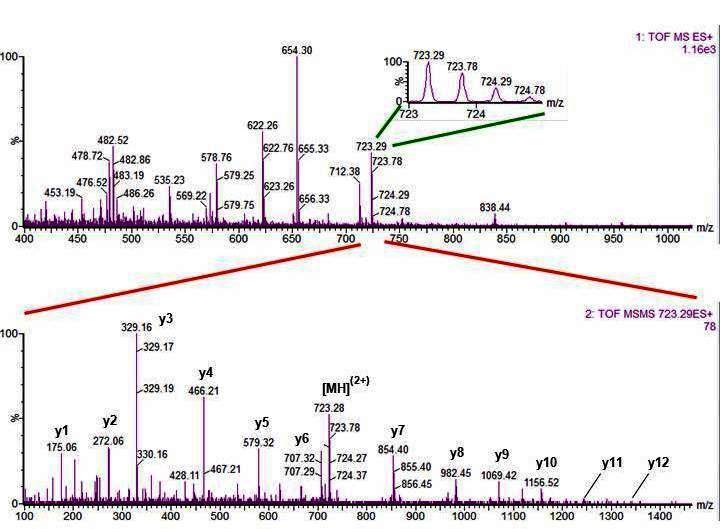 The combination of LC and ESI-MS is usually named LC-MS/MS, and analysis of a protein using this approach provides not only the protein identity, but also sequence information for that particular protein.